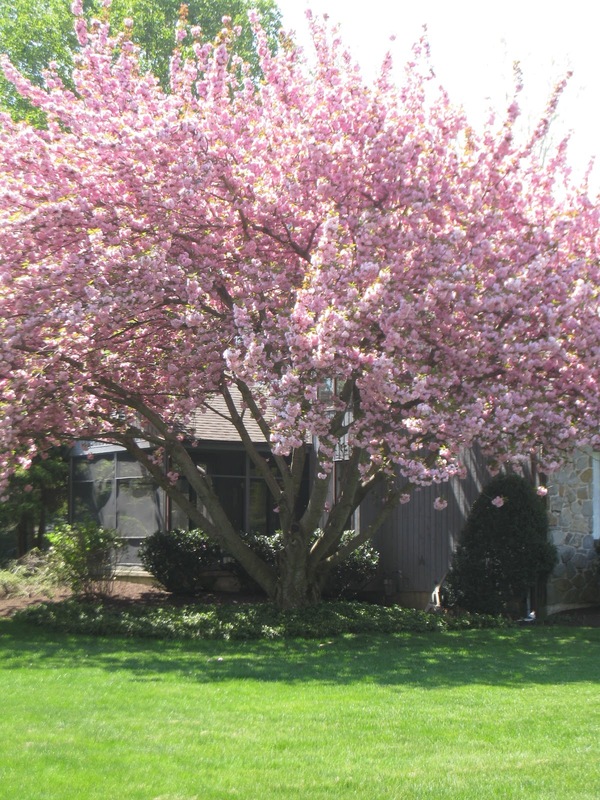 It's Monday 5/28! What Are You Reading? Happy Memorial Day! These Monday holidays always feel strange, to not have to get up to the alarm and run around first thing on a Monday morning - not that I'm complaining! 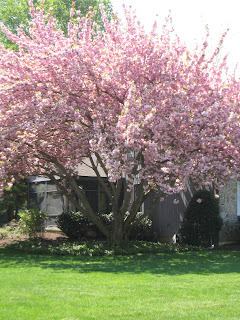 My younger son has been in Connecticut with his grandparents this weekend, and my husband, older son, and I have been taking it easy, trying to recover a bit from our hectic weeks. And there is lots more to come! This week, we have a raft of school functions, leading up to Jamie's high school graduation on Friday and Craig's "graduation" from middle school next Wednesday, accompanied by lots of family visits! I am almost...wait a minute...OK. I have just now finished The Night Circus by Erin Morganstern. This completely unique novel grew on me, pulled me in until I felt I was part of it and came to care about the characters. I'm sorry it is over now. I am still listening to Ghost Knight, a middle-grade novel by Cornelia Funke. It's very good so far. My husband, Ken, is still reading A Game of Thrones by George R.R. Martin and enjoying it. He thinks our oldest son would probably like it, too. Jamie, 17, has been reading Spiral by Roderick Gordon and Brian Williams, Book 5 of the Tunnels series. He says the books just get better and better, and the authors have amazing imaginations! I've only read the first one, so I will have to check out the rest of the series one of these days. Craig, 14, has been reading Brian's Winter by Gary Paulsen, one of many sequels to The Hatchet, a favorite in our family. I did finally find time to write a couple of reviews last week (while in medical waiting rooms! 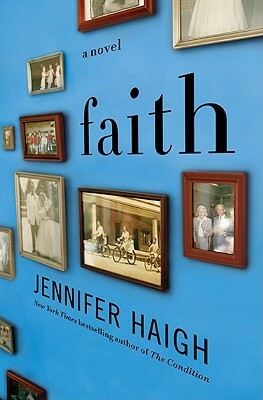 ): Faith by Jennifer Haigh, a hit with my book group, and the teen/YA novel Dead To You by Lisa McMann which I loved. But the big news here is that I am hosting my first-ever reading challenge! Big Book Summer Challenge is an easy, laid-back challenge perfect for the relaxed summer months, a chance to tackle one or more of the long books you've been meaning to read but never seem to find time for. Check it out and sign up! Here are my own big book goals for the summer. 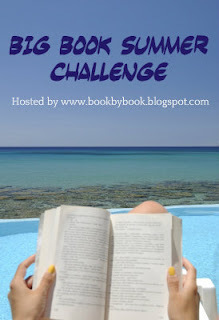 I have just announced my first-ever hosted challenge, Big Book Summer Challenge, so I guess I should be the first to sign up! I really enjoyed tackling some big books last summer, and I'm looking forward to doing it again and finally reading some of these bricks that have been collecting dust on my shelf! Those last two are teen/YA novels - I like to alternate between grown-up books and kids/teen books. These are all books I've been meaning to read for a while. We'll see how many of them I get to! How about you? Are you up for tackling a Big Book (or two) this summer? Join me and sign up for the Big Book Summer Challenge! Last year, I came up with the idea to use the relaxed freedom of summer to tackle some of the biggest books on my TBR shelf that I'd been wanting to read but never seemed to have the time for. Both of my book groups take time off during the summer, so with no interfering commitments, I declared it The Summer of the Big Book and really enjoyed delving into some hefty tomes, like The Passage and Pillars of the Earth. It was so much fun that I thought I'd share the idea this summer and invite YOU to join me! I have never hosted a challenge before, but I think I have figured out designing the button (see above) and how to add a links list (we'll see how this goes! )...so let's give this a try! The challenge will run from Memorial Day weekend (yeah, I'm running a bit late already, but it's summer!) through Labor Day weekend. Choose one or two or however many big books you want as your goal. Sign up on the links list below or on the Big Book Summer Challenge page. You can write progress posts if you want to and/or reviews of the big books you've read...but you don't have to! There will be a separate links list for big book review posts. 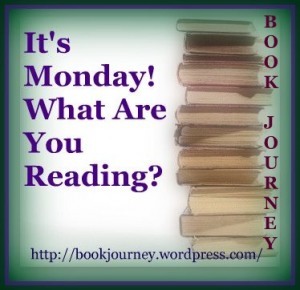 I had heard great things about the psychological thriller Before I Go To Sleep by S.J. Watson, so I was excited when one of my book groups chose it for our May selection. It more than fulfilled my expectations with mystery and suspense that kept me turning the pages way past my usual bedtime. This novel with the unique peek-a-boo cover (you have to check this out!) also has a unique plot. The main character, Christine, has a form of amnesia where she loses each day’s memories every night while she sleeps. In fact, she can remember nothing of her life since the accident that caused her amnesia over 20 years ago. So, she wakes up every morning, thinking she is twenty-something, not recognizing where she is or who is sleeping next to her. Each morning, after a panicked run to the bathroom where she confronts a disturbingly older image in the mirror than she expected and dozens of photographs on the walls, her husband, Ben, patiently reminds her of who she is and who he is. Chilling, right? She is shocked by this self-warning not to trust the one person she is relying on for everything. And that’s just the beginning! Most of the novel is in the form of Christine’s journal that she has been adding to every day with reminders from her doctor, allowing herself to finally recall certain facts from one day to the next. As brief flashes of memory begin to come back to her and each day’s journal entry builds on the last, an alarming pattern begins to emerge, indicating that Ben is lying to her about certain things. The reader flips through each page as urgently as Christine herself does, learning more with each days’ entry as a sense of foreboding builds, until the novel’s nail-biting final scene. This gripping novel makes you want to carry the book everywhere with you and rush through the pages. It’s like the book version of a really clever and suspenseful movie (one reviewer compared it to Momento). I enjoyed every minute of this book, as did the other members of my book group, and my husband, who picked it up as soon as I finished it! NOTE: Christine's form of amnesia is not merely a fictional construct; there really are people whose memory "resets" after a short period of time. Oliver Sacks told of several such cases, including one man whose memory reset every 7 minutes, in his nonfiction book, Musicophilia, which I read last year. It is truly fascinating (and horrifying). I just read about Little Libraries in the AARP magazine (yes, I now read AARP - it's actually pretty good!). This is a very cool project, providing mini "libraries" (aka book swap spots) for the community. Doesn't this sound like fun? I want to start a Little Library! For more information, to find the location of Little Libraries, or for tips on starting your own, visit the Little Libraries website. Life is still insanely busy and rushing past at breakneck speed, but I did manage to do some catching up on my book blogs last week! I finished Before I Go To Sleep by S.J. Watson, a unique thriller about a woman with amnesia that kept me captivated until the very last page. Everyone in my book group enjoyed it, too. I am now reading Dicey's Song, a middle-grade/teen novel by Cynthia Voight, part of her award-winning series about the Tillerman family. The books have recently been re-released, and this is my first time reading any of them. It is excellent - warm and real, about four siblings who have lost their mother and gone to live with their previously unknown grandmother in another state. I am also still listening to Leisl and Po by Lauren Oliver on audio. I am almost done (finally) with this excellent middle-grade novel about a girl and a ghost. My husband, Ken, temporarily set aside The Zookeeper's Wife by Diane Ackerman, a nonfiction book about World War II, so that he could read Before I Go To Sleep before it is due back to the library! I think he is enjoying the unique suspense novel so far. Jamie, 17, finished re-reading Maddigan's Fantasia by Margaret Mahy, one of his all-time favorite novels. He and I are still reading lots of ancient Persian poetry and prose, trying to get him caught up in his World Lit class. Not the most exciting stuff I've ever read. When he needs a break from all his make-up schoolwork, Jamie is re-reading The Exiled Queen, Book 2 of The Seven Realms series by Cinda Williams Chima. Craig, 14, is reading Book 4 of The Last Apprentice series by Joseph Delaney, Attack of the Fiend. And a review of the middle-grade novel Night of the Spadefoot Toads by Bill Harley. Happy Cinco de Mayo! This is a photo of my 17-year old son and his date, ready to go to his senior prom last night. 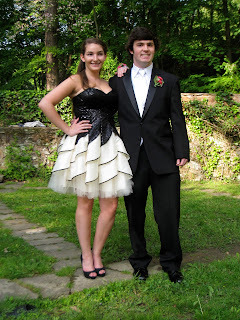 My son has several serious chronic illnesses and spent much of this past year bedridden, so seeing him well enough to enjoy his prom last night meant so much to our family! He lasted until about midnight and says he had a great time. Hope you are all enjoying a good weekend. The Tower, the Zoo, and the Tortoise by Julia Stuart, a warm and light British novel read for a book group. The Night of the Spadefoot Toads by Bill Harley, a middle-grade novel. Ship Breaker by Paolo Bagocalupi, a teen/YA dystopian novel on audio. Looking for Bobowicz by Daniel Pinkwater, a hilarious middle-grade audio that our family has listened to at least 4 times now! Hotel on the Corner of Bitter and Sweet by Jamie Ford, a wonderful novel (and I got to hear the author speak this month, too!). 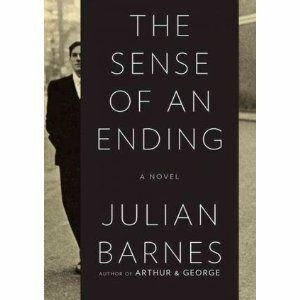 The Sense of an Ending by Julian Barnes, winner of the Man Booker Prize for fiction last year. So, it was an all-fiction month, with two middle-grade novels, one teen/YA, and three grown-up novels. I enjoyed all of them. My favorite was Hotel on the Corner of Bitter and Sweet; it was so well-written, warm and tender, and set in a fascinating historical setting (the Japanese internment during World War II) - an all-around winner! The Tower, the Zoo, and the Tortoise was a close runner-up, with its great sense of humor. I am behind in writing reviews but have been working to catch up this week. Stay tuned! 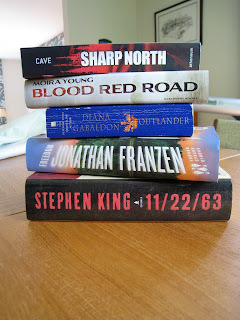 As for my 2012 Reading Challenges, I added 4 new states to my Where Are You Reading Challenge (Massachusetts, New Jersey, Louisiana, and Washington), plus 2 more books set in England (I've been on a British streak lately! ), so I am now up to 16 different states and 4 different countries outside the US. I added a third novel - Ship Breaker - to my Dystopian Challenge list. I read nothing at all from my TBR shelf this month, so I need to get back to that in May. And I read no memoirs, either. I did add one title to my What's In a Name Challenge - I think spadefoot toads qualify as creepy-crawlies, don't you? What were your favorite books read in April? 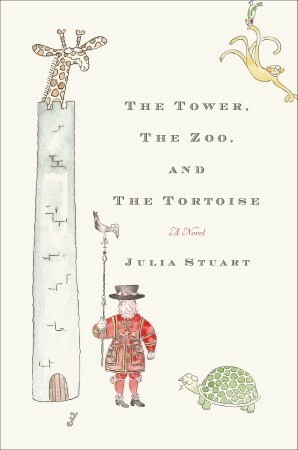 Recently, my neighborhood book group read a novel that has been on my want-to-read list for a long time: The Tower, the Zoo, and the Tortoise by Julia Stuart. This novel is an import from the UK that features warmth, romance, and a great sense of humor. Balthazar Jones works as a guard in traditional dress (aka a Beefeater) at the Tower of London. Like all Tower employees, he lives within the tourist attraction with his wife, Hebe, and their 181-year old tortoise (this is apparently true, that all Tower employees live within its walls). All sorts of quirky characters live within this odd housing development: a bachelor minister who is secretly a popular author of erotica, the Ravenmaster who is cheating on his wife, the single owner of the Tower residents’ pub who has just found out she is pregnant, and more. Into this eccentric mix is a new twist: the Queen has decided to move her royal menagerie, featuring all sorts of exotic animals given to her as gifts from foreign leaders, to the Tower, and since Balthazar has taken such good care of his ancient tortoise, he is put in charge. Hebe’s job is even more amusing. She works at the London Underground’s Department of Lost Things, where she and her co-worker record each lost item as it is brought in, from false teeth (they currently have 457 sets!) to a locked safe to a life-sized inflatable doll, until someone comes to claim them. This was my favorite part of the book, when Hebe was at work, surrounded by all of these ridiculous items, her story told in a straightforward way with that particular British knack for subtle (and not-so) humor. However, this novel is not just about laughs (though there are plenty); it has considerable emotional depth. Balthazar and Hebe recently lost their young son and are each grieving in their own way, becoming more and more distant from each other right when they each need the other the most. Meanwhile, Reverend Septimus Drew desperately wants to be married and start his own family but doesn’t know how to approach the woman he is secretly in love with (yes, a bit of irony there since he is so adept at writing racy romances!). It’s a novel about relationships and love and marriage, about what brings people together and tears them apart, set amidst the silliness of the Tower’s new animal residents and the outrageous items brought into Hebe’s workplace. Stuart seamlessly blends humor and tenderness into a story that is both light and earnest. I thoroughly enjoyed reading this novel and have been recommending it to both my American and British friends. Just writing about it now makes me want to read it again! NOTE: The novel was originally published in the UK under the title Balthazar Jones and the Tower of London Zoo. Although the book was republished for an American audience, it retains its unique British voice. Several times while reading it, I had to quiz my online UK friends on various terms (though not so much that it interfered with my enjoyment of the book). In case you were wondering, a swede in the UK is what we call a rutabaga here, and it is apparently enjoyed by bearded pigs. 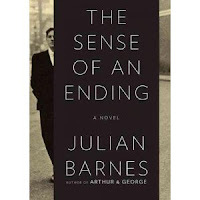 I heard discussions of Julian Barnes’ slim novel, The Sense of an Ending, on two of my favorite book podcasts, Books on the Nightstand and The Readers. The novel won the Man Booker Prize for fiction last year and was attracting a lot of attention. 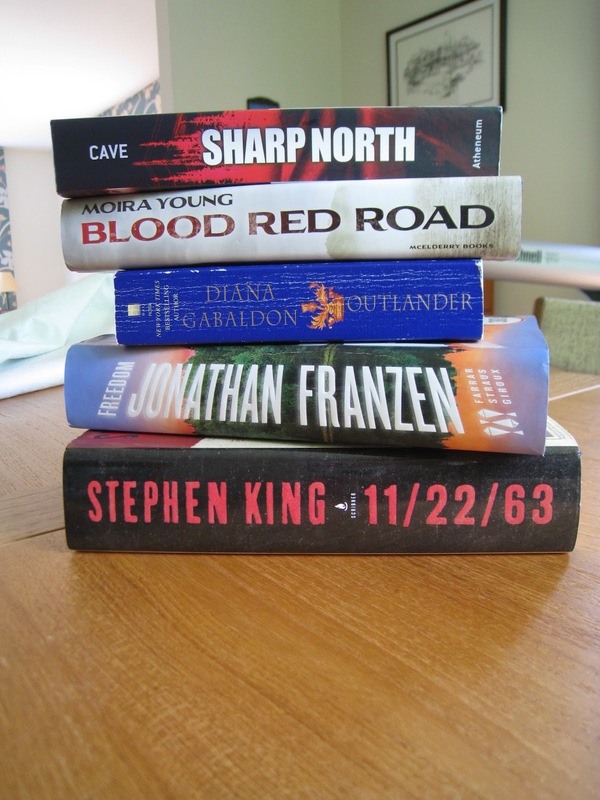 Although my reading is normally somewhat regulated – by review books, book club selections, books sitting on my TBR shelf, etc. – after the podcasts, I went right to my library’s website and requested the novel. I enjoyed getting to read a recommended book right away (instead of watching it sit on my TBR list for years! ), and I enjoyed the novel very much. Tony Webster is a middle-aged British man who sees himself as very average, perhaps even dull, having lived an average life and enjoying an average retirement. In an effort to understand a friend’s unexpected death and a very odd inheritance left to him by an acquaintance he didn’t even know very well, Tony looks back over his life, trying to make sense of this puzzling new information from his past that has just come to light. He starts with high school, remembering certain key events that he realizes in hindsight may have had repercussions far into the future. He goes back through his life, recalling key events and things he thought were insignificant at the time, trying to sift through his memories and understand how things led where they did. We live in time – it holds us and molds us – but I’ve never felt I understood it well…. I mean ordinary, everyday time, which clocks and watches assure us passes regularly: tick-tock, click-clock. Is there anything more plausible than a second hand? And yet it takes only the smallest pleasure or pain to teach us time’s malleability. Some emotions speed it up, others slow it down; occasionally, it seems to go missing – until the eventual point when it really does go missing, never to return. And this last quote is at the heart of the novel and Tony’s reflections. Can his memory be relied upon as accurate? Did events occur as he remembers? How did the perceptions of his friends differ from his own? Despite this philosophical bent and the definite characteristics of “literary fiction,” the novel moves along at a nice pace and is very engaging. There is even a bit of suspense, as Tony attempts to unravel the mysteries of the past and his role in it. I thoroughly enjoyed this short novel and would love to read more from Barnes. The award was well-deserved.